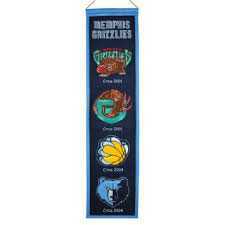 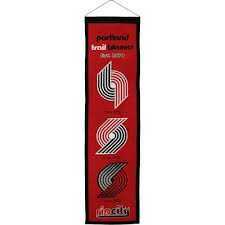 This 8×32 embroidered wool banner has the string in place for easy hanging. 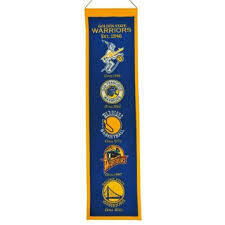 Perfect for the office, den or a gift. 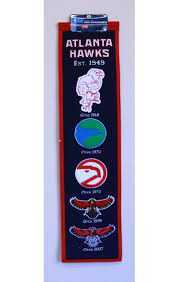 This banner shows the history of the logos used for our favorite team!